The Faculty Jurisdiction Rules 2013 came into force on 1 January 2014 and apply to all petitions lodged after that date, and a brief summary of the changes effected by the new rules can be found in The Faculty Jurisdiction Rules 2013: Simpler Process, Equal Protection, an article published in the Ecclesiastical Law Journal. The consistory court has a long history but its primary function today is the exercise of the faculty jurisdiction which relates to church buildings and their contents. Alterations to churches and their furnishings are unlawful unless they have the prior authority of a faculty granted by the chancellor in the consistory court. The faculty jurisdiction exists to preserve the integrity of churches, many of which are listed buildings of significant heritage value, and to ensure conformity with the doctrine and practice of the Church of England. The law and procedure of the consistory court can appear complex but an exposition of the working of the faculty jurisdiction (albeit prior to the recent changes) can to be found in chapter 7 of Hill’s Ecclesiastical Law. Parochial clergy, churchwardens, and inspecting architects should be familiar with the Faculty Jurisdiction Rules 2013 and the Care of Churches and Ecclesiastical Jurisdiction Measure 1991. Diocesan guidance should be consulted and in cases of doubt advice may be sought from the registrar, archdeacon or DAC secretary. Reference should also be made to the Guidance on the Award of Costs produced by the Ecclesiastical Judges Association. The burgeoning corpus of judgments issued by consistory courts of the Church of England is being helpfully gathered by the Ecclesiastical Law Association over recent years. For a more comprehensive collection dating back much further, reference should be made to the Middle Temple Library. For illustrative purposes, a complete set of judgments from Chichester Consistory Court since 2000 may be found here. 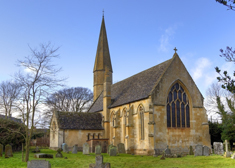 The Cathedrals and Church Buildings Division of the Archbishops’ Council maintains a Churchcare website which has helpful information about the faculty jurisdiction and the care of heritage ecclesiastical buildings.